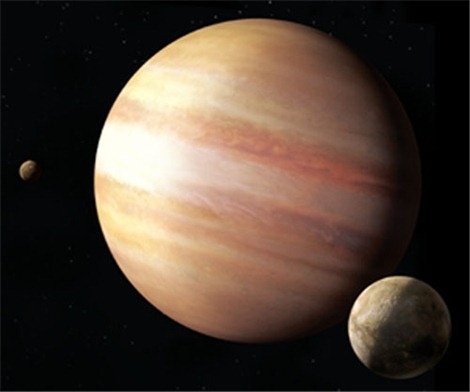 Darkening in the light of the stars of HAT-P-7, caused by the powerful gravity of Jupiter was recorded by scientists. Preprint, which will be published in the journal the Astrophysical Journal Letters, laid out in the archives of Cornell University, and a summary of its ScienceNow. Moon: a visual illusion. What's the secret? The moon has a unique visual property, which is that, looking at it from below, it seems to be less than when it is on the horizon. Previously, most scientists assumed that this phenomenon occurs on the basis of the theory of relative size, which is called "the illusion of Ebbinghaus". 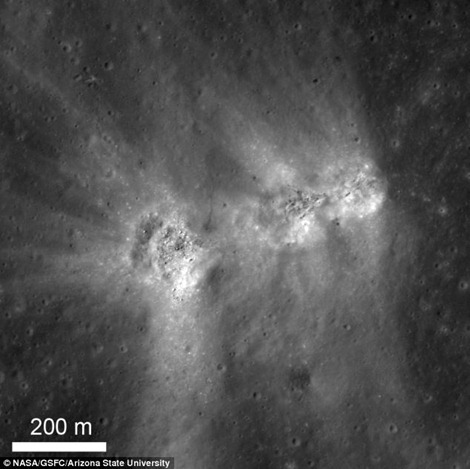 Space probe called the Lunar Reconnaissance Orbiter transferred unique pictures of the lunar surface to Earth. These pictures show 2 huge holes with a completely smooth edges. Many galaxies show a greater gravity than it should, basing on their visible (gas and stars) mass. Now it is accepted to explain dark matter (TM), which gives them additional weight. 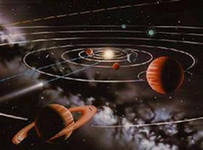 One of the oldest areas astrology - astrometeorology. 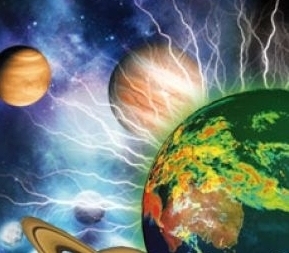 It is a system of knowledge used for weather prediction, taking into account the location of the planets, their interaction and the strength of their influence on different geographical areas. 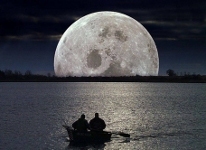 What determines the size of the moon? When we look from the bottom to the moon, we tend to believe that it is better if it is near the horizon, and less if stands high in the sky... 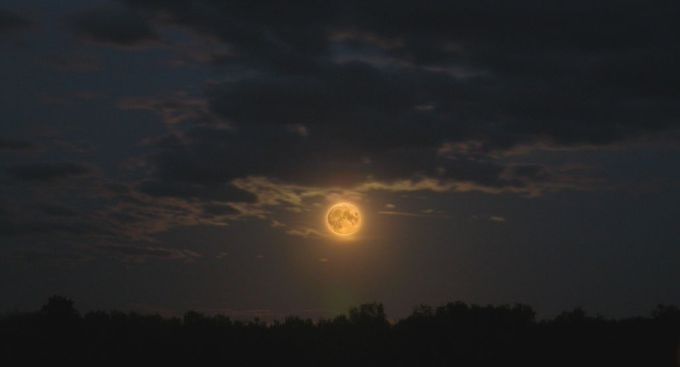 This mysterious effect was named "moon illusion". 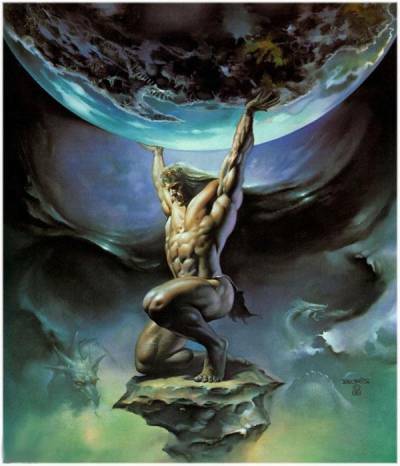 Why does it occur, because even from ancient times people knew that the size of Earth satellite everywhere and always remain the same? It so happens that scientists, like a curious character known fables by I. A. Krylov, able not to notice the elephant even when it is very close. Yes there elephant - whole planet! That is what happened with Uranus and Neptune - planets of the Solar system that astronomers have repeatedly seen, but felt that watching unknown stars. Amazing celestial event will be able to watch January 21, not only professional astronomers, but everyone. The moon on this day will maximally closer to Jupiter. The culmination of this event will occur at three a.m. in the constellation Taurus. The distance between celestial bodies, depending on the place of observation, will be equal to approximately one disk of the moon. 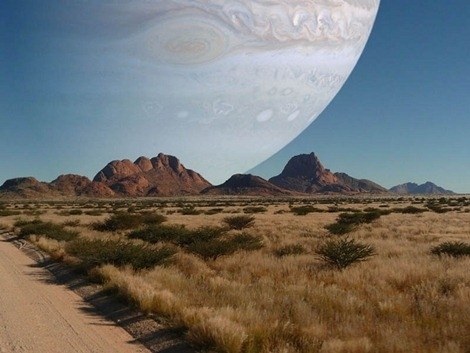 And the inhabitants of South America and the Pacific will be able to see the Eclipse - Jupiter will slip behind the moon. 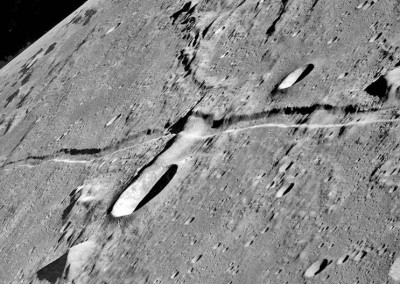 Scientists working with the data apparatus Cassini, has found that wind erosion processes result in a fast-aliasing craters on the moon of Saturn the Titan. The work published in the journal Icarus, and summary of the results of a site of the American space Agency. The moon is artificial satellite of the Earth? 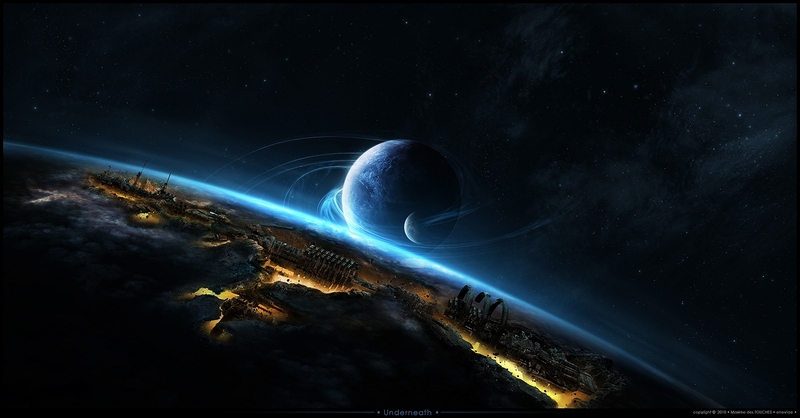 The hypothesis of scientists that more than 4.5 billion years ago the Earth was supercivilization killed in the disaster, has the right to life and discussion. Confirmed that constantly receiving information, giving hope to find traces of that civilization (and maybe civilizations?). 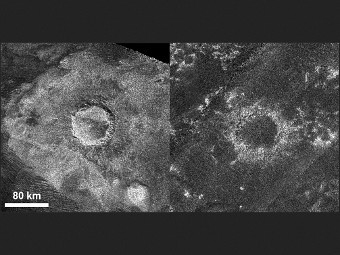 The researchers found on the surface of the moon series of three mysterious craters. Experts, which follows the lunar surface, believe that the craters were formed within a few minutes, but as it happened I can not explain. 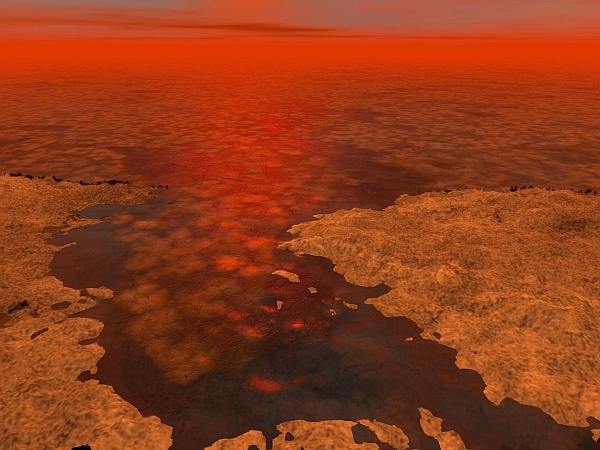 Scientists working with the data of the spacecraft Cassini, came to the conclusion that the surface of lakes and seas of Titan can decorate hydrocarbon ice floes. 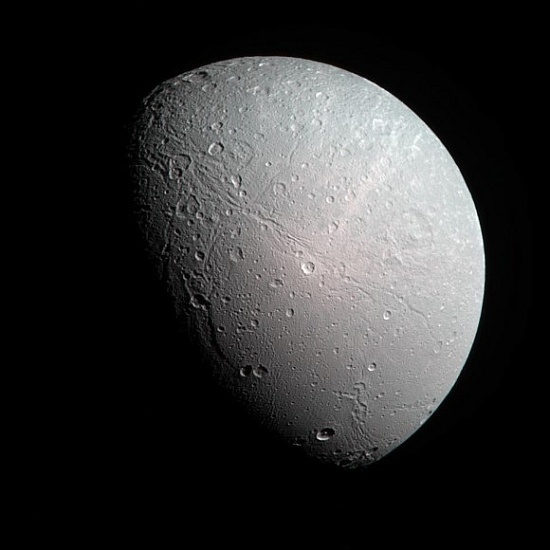 The presence of the latter allows to explain the strange reflectivity of a surface of this moon of Saturn. 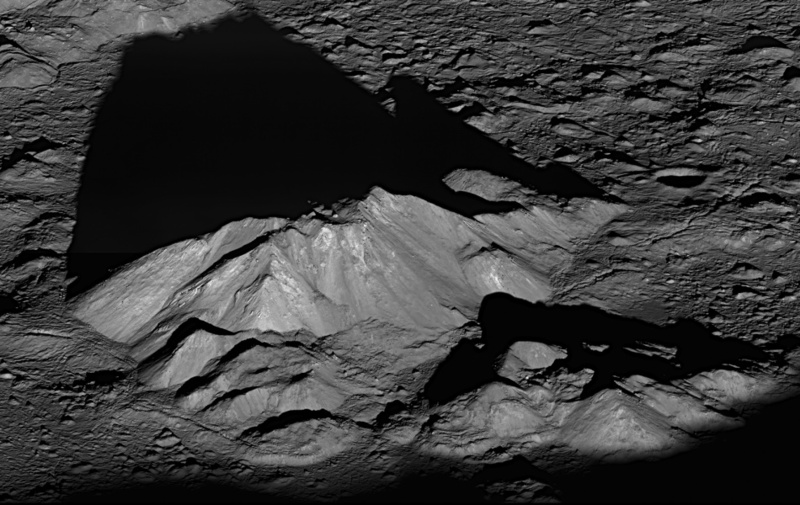 American scientists from NASA showed us a photo of the Central peak in the lunar crater Tycho. 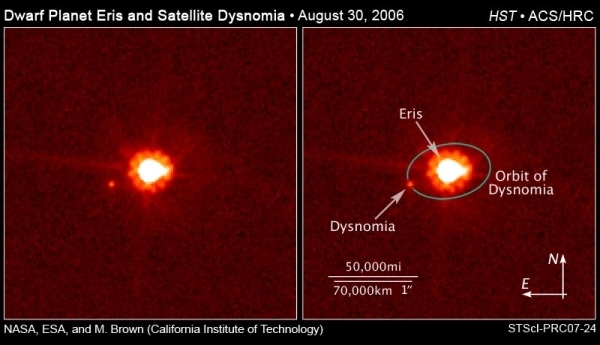 Over the past five years astronomers have counted in our Solar system, several dozen satellites (at the time of preparation of this article was 86), moving around their planets in the opposite direction to their rotation! They are called non-scheduled (as opposed to regular traded in the forward direction towards their planets). Apparatus Cassini during the flyby on December 23, 2012 photographed the Dion (Saturn) from a distance of 249 238 km Imagery in the visible range was performed using the long-focus camera and filters subsystem ISS (Imaging Science Subsystem). Although Dion consists mainly of water ice and stone, the resulting images are nevertheless noticeable slightly colored area - take a look for yourself.